This cute creative cartoon animal lamp is made of good quality cotton inside. The lamp has a flexible and bendable shade, so you can adjust it as you like. The table lamp has a cute creative fashion looking and it is very attractive. 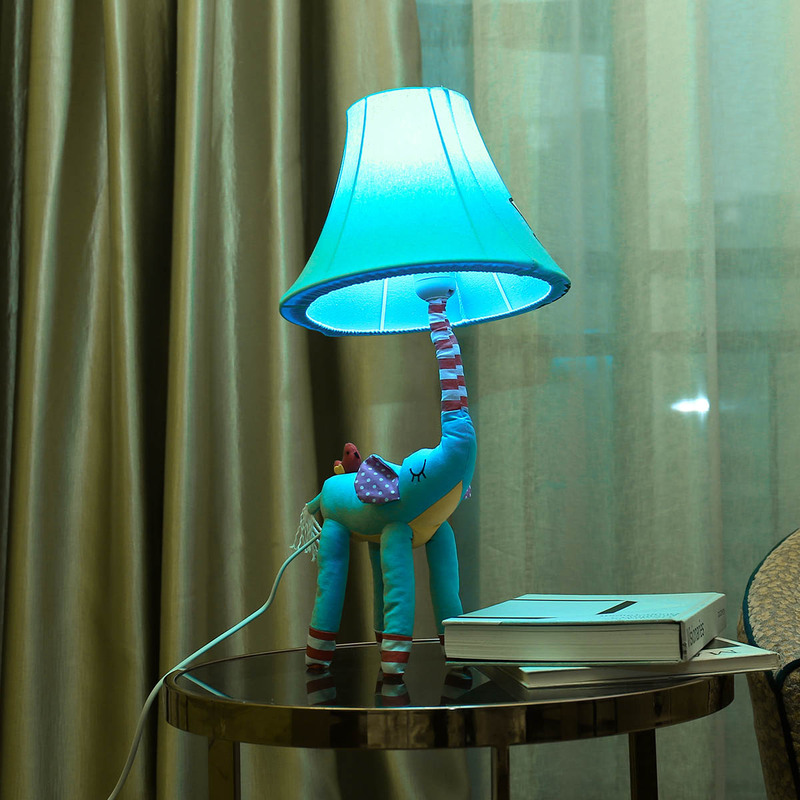 The elephant table lamp cover is easy to install, so you can take down the shade cover to clean. 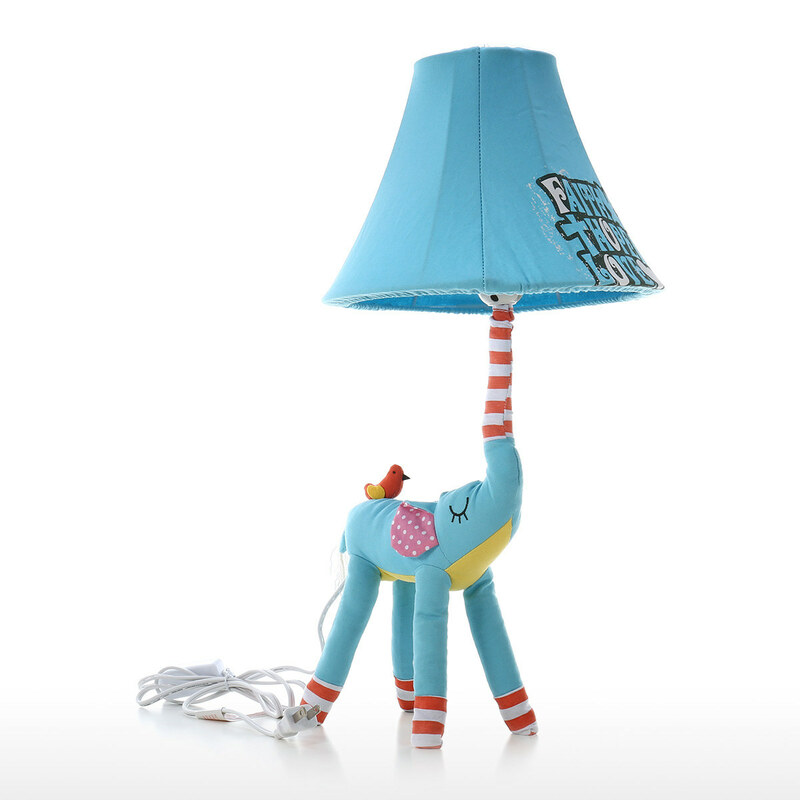 This lovely creative shaped elephant lamp is suitable for kids bedroom, living room, playroom or nursery. 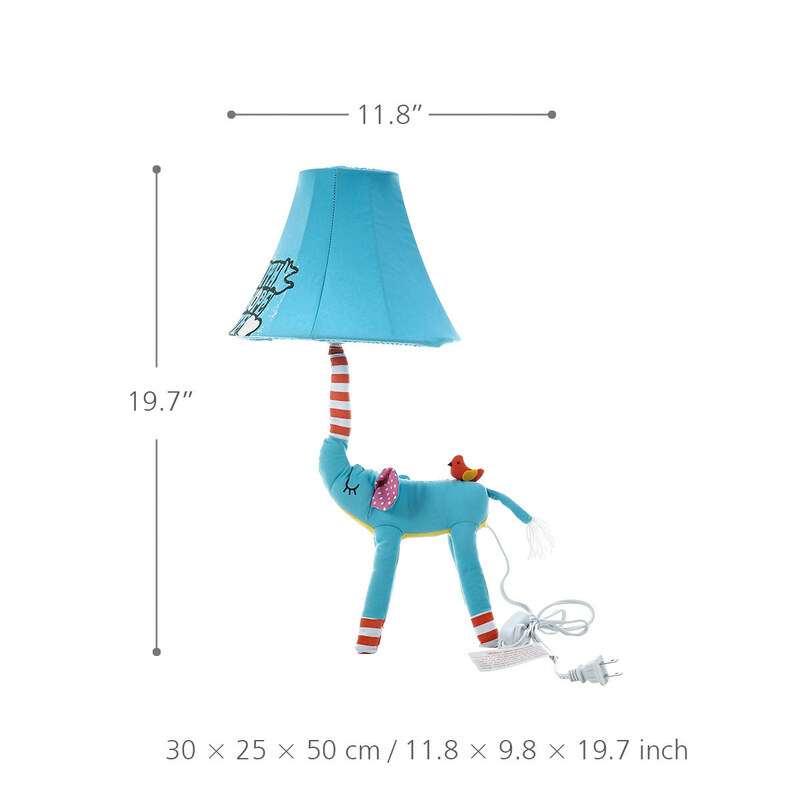 Good quality: This cute creative cartoon animal lamp is made of good quality cotton inside. Adjustable: The lamp has a flexible and bendable shade, so you can adjust it as you like. The legs filled with an iron frame and quartz sand, which helps stand steadily. Legs are adjustable. 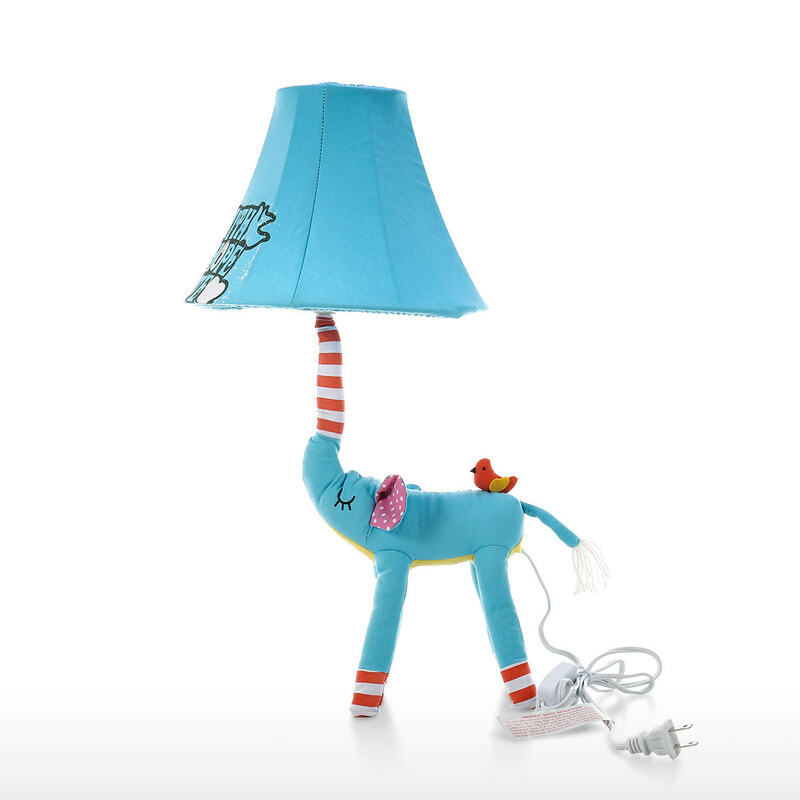 Cute lamp: The table lamp has a cute creative fashion looking and it is very attractive. 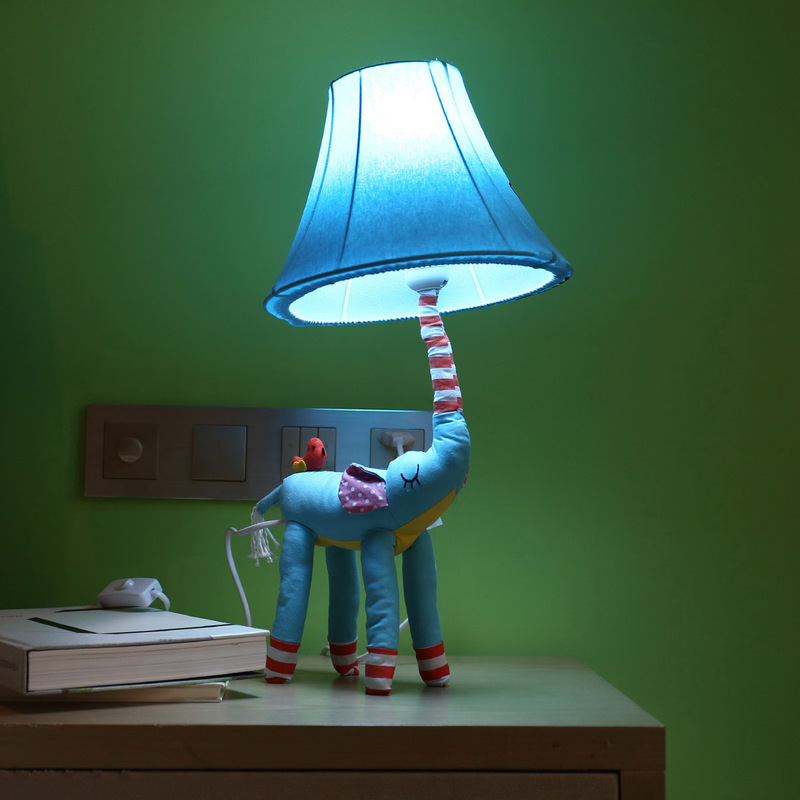 Easy installation: The elephant table lamp cover is easy to install, so you can take down the shade cover to clean. 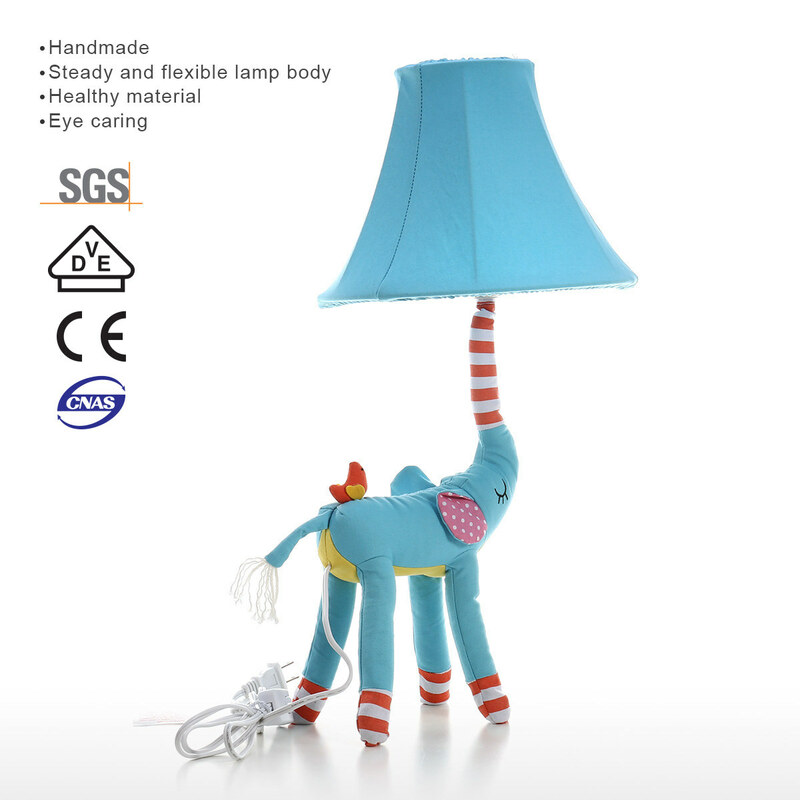 Application: This lovely creative shaped elephant lamp is suitable for kids bedroom, living room, playroom or nursery. 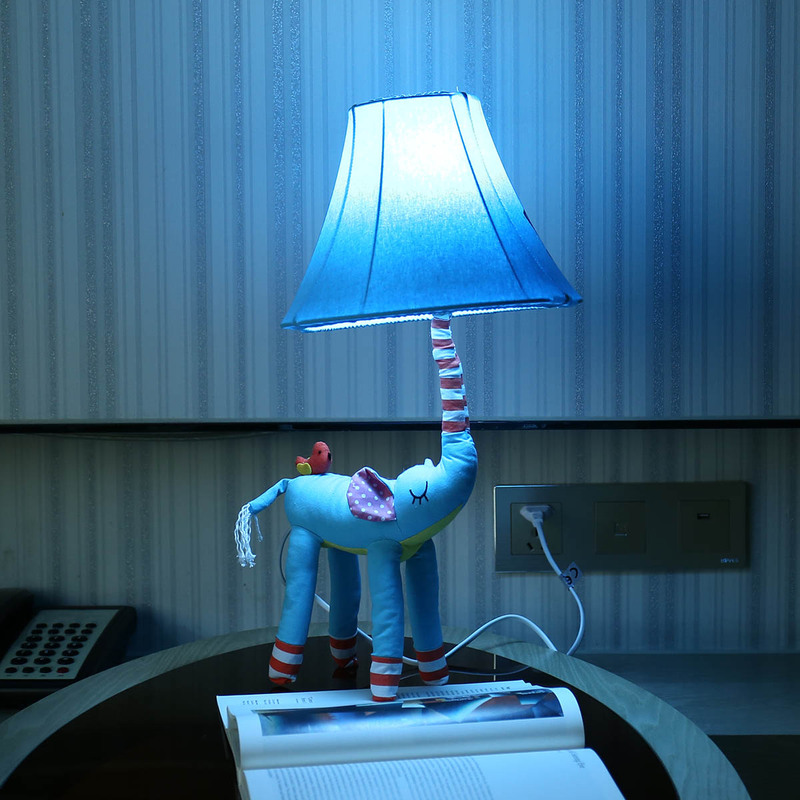 Modern decoration: The elephant lamp is a good decoration to embellish your home.